Employees at Centrica Storage have moved into new offices which have been purpose designed to create a future-proof, digital working environment and promote employee wellbeing. 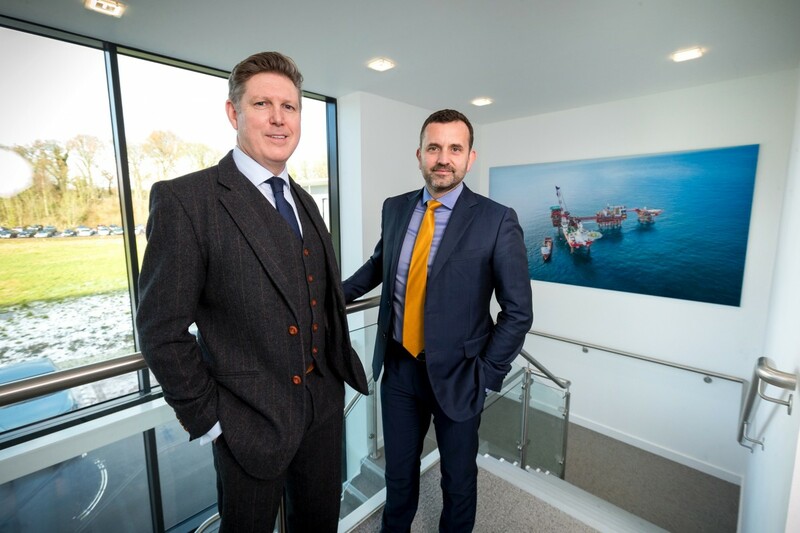 Centrica Storage has consolidated its operational teams by leasing a new, hi-tech office at the fast-growing Bridgehead business park close to the Humber Bridge, which is owned and developed by Hull-based development company Wykeland Group. Centrica Storage says the move marks a “major leap forward” for the business and its employees, enabling digital-led working practices and enhanced communication within an environment reflecting the company’s commitment to the health and wellbeing of its employees. Centrica Storage has moved its operational support base to Bridgehead having outgrown its former offices in Hedon, East Yorkshire. The 20,000 sq ft, two-storey building provides professional, bespoke accommodation for up to 200 people and was designed in-house and developed by Wykeland, to Centrica Storage’s specifications. The offices employ the latest digital technology, taking full advantage of best-in-class ultrafast fibre connectivity from local communications providers KCOM and MS3. A high-impact video wall in the reception area welcomes visitors to the business, while the 65-inch digital screens installed across each floor display internal communications messages and there are private phone booths with display screens to enable Skype calls. All meeting rooms feature wireless presentation screens with touchscreen technology as standard, as well as surround sound systems and acoustic panels. The building also boasts a lecture theatre accommodating up to 60 people equipped with state-of-the-art audio visual facilities. Wireless Internet is prevalent throughout for both employees and visitors. As well as promoting a move towards digital working, the new offices support healthy lifestyles, consistent with Centrica Storage’s extensive wellbeing programme. Desks are arranged on the outside of the open-plan offices, with meeting spaces and informal breakout areas in the centre of the two floors, so employees can enjoy natural daylight at their work stations. All employees are provided with “sit stand” desks which promote ergonomic benefits and enable people to work either seated or standing. This encourages movement and wellbeing, as well as enabling people to optimise the benefits for their working purposes. The new offices have been branded as Woodland House, reflecting Bridgehead’s credentials as one of the UK’s greenest and most sustainable business parks, including a woodland trail encircling the development. The building features three shower rooms on each floor to encourage employees to cycle to work, walk or run during breaks, and a running club has been established to support this. The car park includes electric charging points while solar panels on the roof and “Brise Soleil” sun shading make the building energy-efficient and reduce its carbon footprint. Centrica Storage is as a wholly-owned subsidiary of Centrica Plc, the parent company of British Gas. Centrica Storage operates the Rough reservoir under the seabed in the southern North Sea. The company also operates two offshore platforms and a major gas processing terminal at Easington on the East Yorkshire coast. Strategically located by the A63/M62 corridor and a stone’s throw from the Humber Bridge, the 50-acre Bridgehead development has become established as the Humber region’s premier business park, with Centrica Storage the latest in a series of leading companies to locate there. Centrica Storage joins a fast-growing community of innovative and market-leading businesses at Bridgehead, including Beal Homes; bathroom retailer Victoria Plum; the John Good Group of companies; laser firm Rofin-Sinar; office technology company IT@Spectrum; IT services and telecoms company The One Point; and design-to-print graphic services company SGS International. The latest addition to Bridgehead is the £3.9m Ergo centre which is being developed by East Riding of Yorkshire Council in conjunction with Wykeland and is due to open in early 2018. Ergo will be operated in a partnership between the council and the University of Hull and will provide accommodation for companies in the growing renewable energy and environmental technology sectors. Planning applications will be submitted in the New Year for further buildings at Bridgehead, reflecting the continuing strong demand. More than 800 people now work at Bridgehead and ultimately, between 2,000 and 3,000 will be employed at the business park, which was developed with input from Yorkshire Wildlife Trust to enable commerce and the environment to co-exist harmoniously. 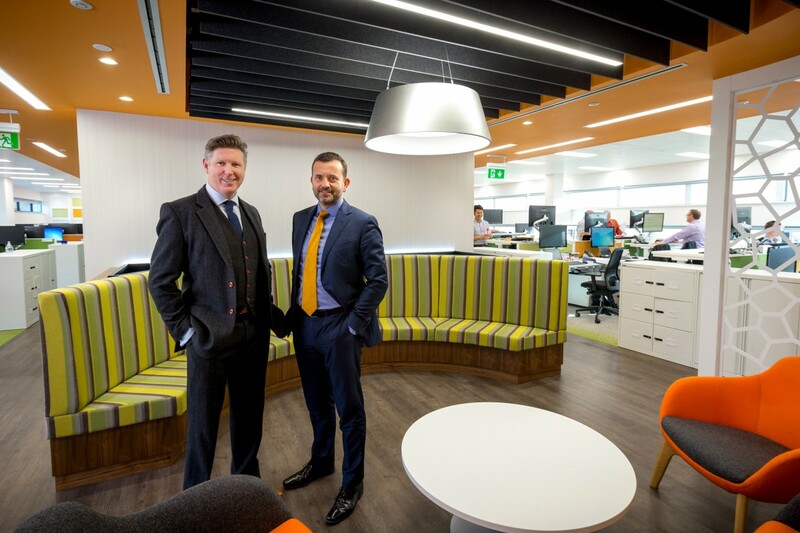 Centrica Storage Managing Director Greg McKenna, left, and Wykeland Group MD Dominic Gibbons in one of the breakout areas at the new, hi-tech offices which have been purpose designed to promote digital working and employee wellbeing. 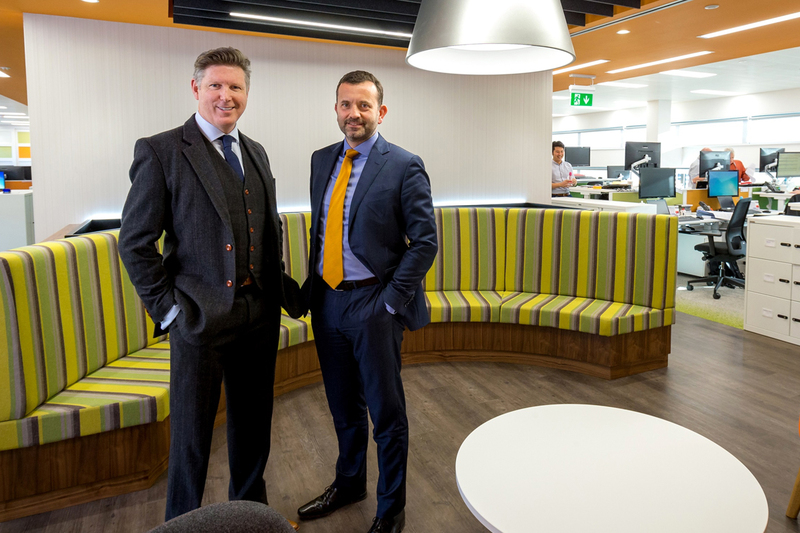 Centrica Storage’s Greg McKenna, left, and Wykeland’s Dominic Gibbons at the energy company’s new offices on the Bridgehead business park. The picture in the background shows one of Centrica Storage’s two offshore platforms. 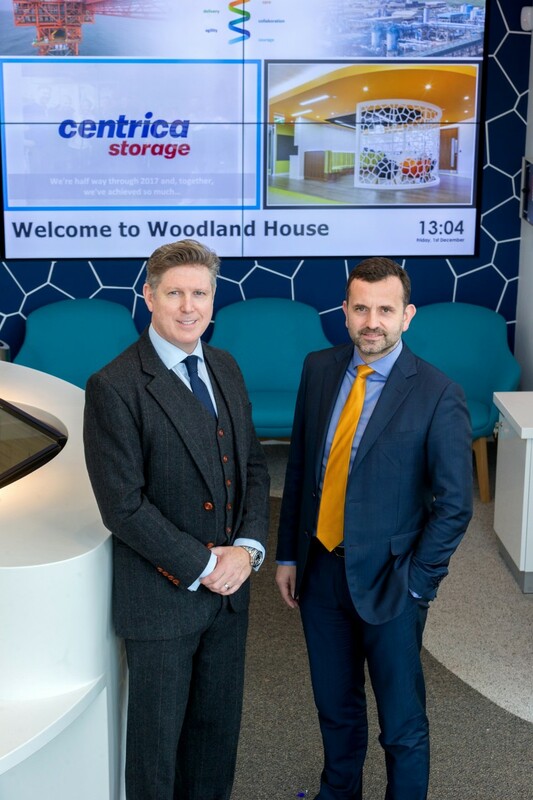 Centrica Storage’s Greg McKenna, left, and Dominic Gibbons from Wykeland in the reception area at the new offices on the Bridghead business park where visitors are greeted by a high-impact video wall.